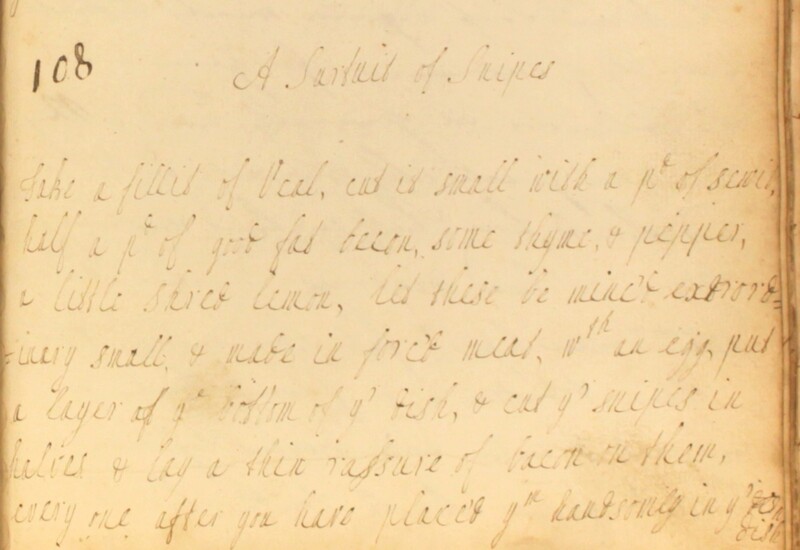 Transform simple forcemeat into something amazing with this 18th century recipe for lumber pie. Home-made forcemeat balls are layered in a dish with bone marrow, lemon peel, asparagus tips and a selection of sweetmeats, and baked under a lid of puff pastry. Once cooked through, a rich warm sauce of egg yolks, butter, wine and sugar is poured into the pie. Like name, like nature, lumber pie is a heavy, hearty dish! Half roast a leg of veal. Take a pd & half of it clear the from skin, a pd & half of fresh marrow. Minse them very small. 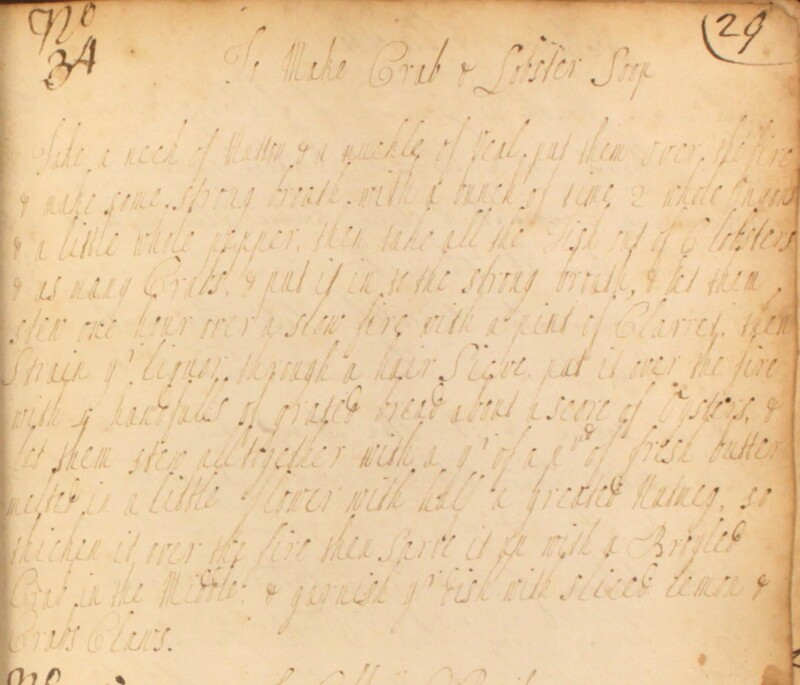 3 large naple biskets, a pd of brown sugar, some pounded cloves & mace, 4 or 5 spoonfulls of rose water or orange flower water, 2 eggs broke in to it & work this into a paste with your hands. 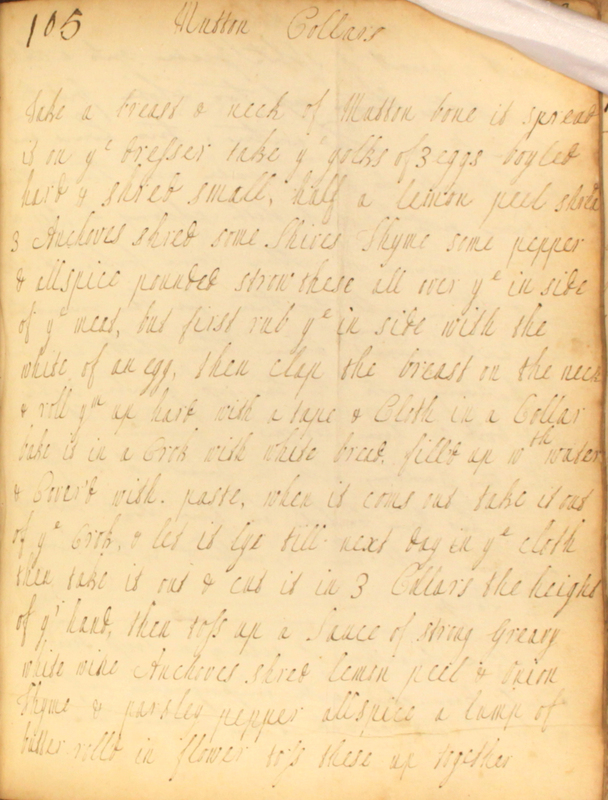 Make it into balls, then lay them in layers in your dish with a layer of whole marrow betwen a layer, a little shread lemon peel that has been boyled tender, & betwen another layer put the tops of asparagus, betwen another layer put all sorts of sweet meats & last of all put a layer of balls. Cover it with puff paste. When it is baked, pour a caudle made of a pint of white wine, the yolks of 4 eggs & a bit of butter. Sweeten it with sugar. Pour this hot & serve it up. If you’re thinking of giving this dish a go and would like to see what you’re aiming for, there’s a fantastic photo on Ivan Day’s Historic Food website! Take a calf’s bag, prick it and put half a pint of sack into it and as much in the pot where the bag lies. 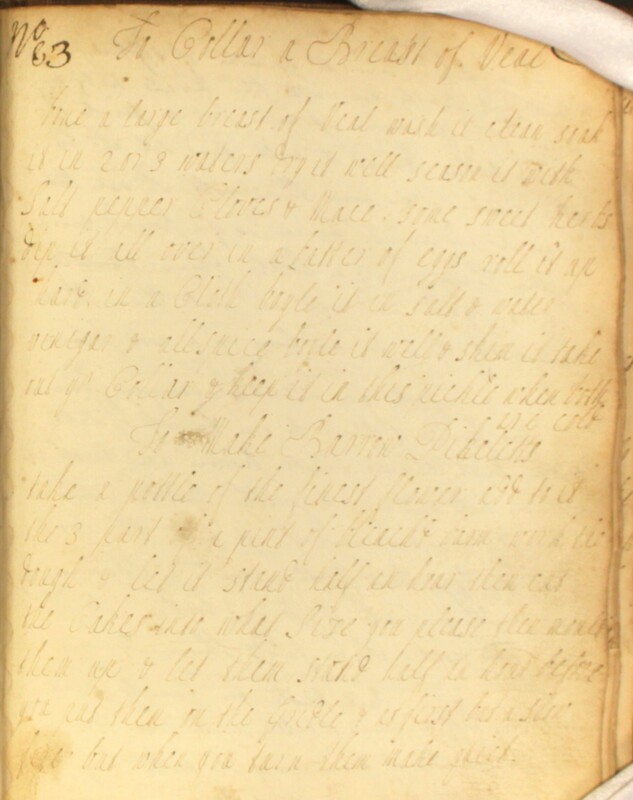 Then take one nutmeg and a little mace and 4 cloves, bruise them and put them in a little bag and put it into the rennet, whipping it sometimes and stirring it together. You may use it in 3 or 4 days. Then bottle it up very close to keep it. Put a spoonful and a half in the cheese. 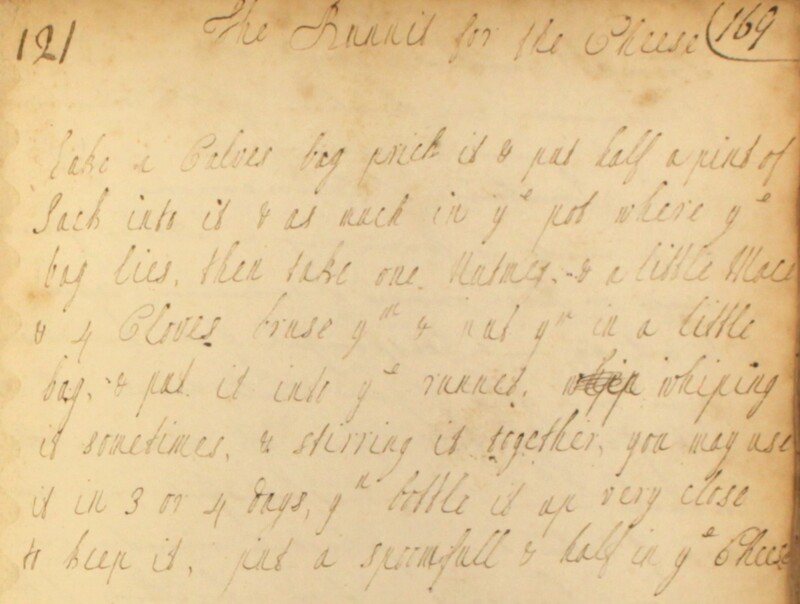 This recipe takes us through the preparation of liquid rennet, or ‘rennet wine’. The ‘calf’s bag’ refers to the animal’s fourth stomach compartment (the abomasum). The natural rennin produced in the stomach allows the calf to digest its mother’s milk and, when extracted, the enzyme can also be used to separate curds from whey in cheese-making. Here, the stomach lining is soaked in a fortified wine (sack) for several days to create a liquid extract. 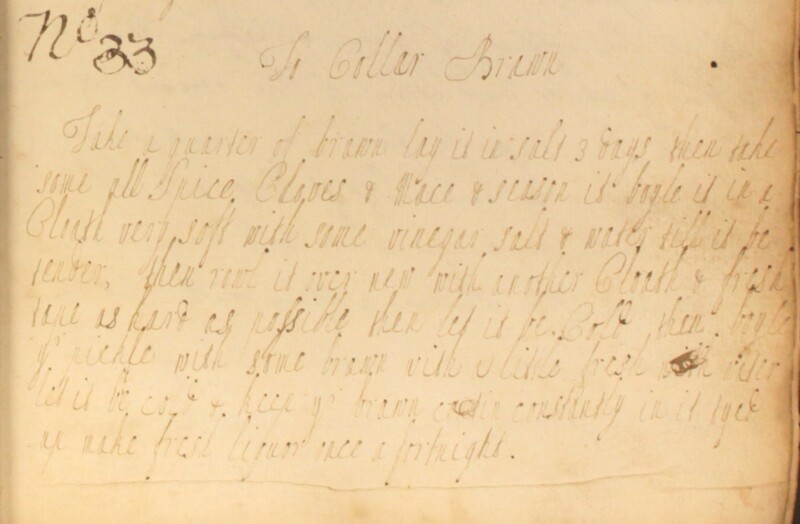 Nutmeg, cloves and mace are also added to the mix. 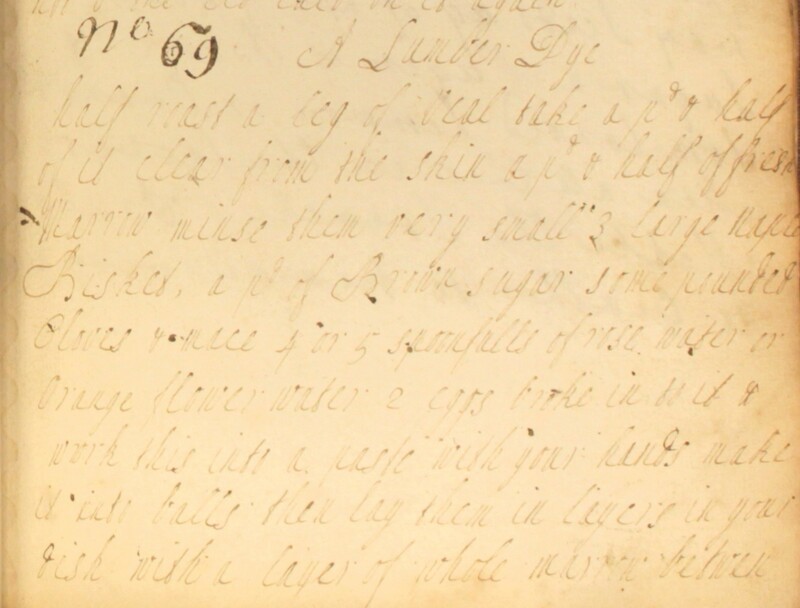 According to Richard Bradley’s The Country Housewife and Lady’s Director (1728), the addition of spices in this preparation would ‘strengthen’ the rennet, and lend cheese a certain sharpness or ‘briskness of taste’.